Below you’ll find 9 amazing reasons why you should choose us over any other competitor, anytime. Safe and easy payment options including PayPal, G2A Pay and Bitcoin. Instant delivery with account details displayed immediately after purchase, and emailed for safe keeping. Our blog is professionally written with fantastic free content. We’re the highest rated LoL account seller with honest & independent reviews. Thank you for visiting LolFinity.com, the best place to buy a League of Legends accounts. It sounds like a bold claim right? Well, we take selling League of Legends smurf accounts very seriously. So what makes us the best place to buy a League of Legends account? Our core belief is great customer service and high value products. All of our League of Legends accounts are carefully leveled using a unique method that our experts have developed. This ensures that our accounts are the safest on the market. Not only does this stop your account from getting banned, but we’ve revolutionized the smurf market to make it better and safer for the customer. We started our Lifetime Guarantee in 2014 and were the first League of Legends account seller to do so. This protects your account from being banned if we make any faults – and it works. We’re proud to admit that we don’t have very many bans, but unfortunately stopping every account from being banned is impossible and any smurf seller that claims to have 0 banned accounts are not telling the truth. Thankfully our Lifetime Guarantee has protected our customers and providing them with a new account completely free of charge. Now every smurf seller offers this Guarantee and we’re proud we made the market a safer place to buy. Unfortunately, not all of these sellers are completely honest and will avoid honoring their promise. We have always honored our lifetime promise and to prove this just take a look at our 5 star reviews. We firmly believe in transparency and honesty here at LolFinity, so below you will find the reasons of why we truly are the best and safest place to buy a League of Legends account. If your question isn’t answered below then check out our FAQs. Customer safety is at the heart of everything we do. We do everything in our power to ensure that your details and payment information are as secure as possible – meaning there is no risk at all in buying a League of Legends account from us. Some account sellers have a very lax attitude to customer safety and security, so make sure you always check that wherever you buy a League of Legends account from does the following to ensure your safety and security. Our website is secured by SSL, meaning that all information that you provide to us is fully secured and encrypted to the highest possible standards. This prevents third parties from intercepting your information and using it for fraudulent purposes. 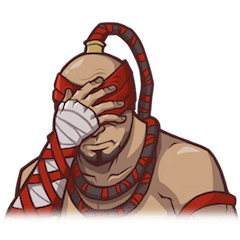 It’s good practice to ensure that any website you buy anything from is secured by SSL, and it’s no different for buying a League of Legends account. If an account seller isn’t secured by HTTPS then we suggest you leave their site immediately. We use PayPal, G2A Pay and Bitcoin as our payment processor. This means that we do not see your payment details at all – they are all safely and securely handled by PayPal, G2A Pay and GoURL Bitcoin using state of the art encryption. “I received the account, but that account got banned. They provided me full money back coupon code that I used for another account. When we introduced our Lifetime Guarantee we didn’t expect it to revolutionize the market. We used to be the only seller to offer this but to stay competitive other merchants have copied our Guarantee. Unfortunately, a lot of these sellers will not honor this promise and regularly use tricks and dishonesty to avoid giving you the account you deserve. We’re proud to say that we always honor this promise and have the best record and highest reviews of any smurf seller in the market place. What this means is that should your account be banned through any fault of our own then we will give you a new one – free of charge! Every other account seller out there will say that “all sales are final” and refuse to help you if the account gets banned, but we’re different. After all, your satisfaction is our number one priority. We are here for you no matter what wish you may bring forward, what problem you are facing with your account, what questions you may ever have. Feel free to contact you through our contact form, simply submit a ticket or just contact us through our support email address. There are no dumb questions, just dumb answers. So go ahead and one of your support team member will be with you as soon as possible, usually within minutes and will assist you with anything you got on your heart. We use PayPal as our main payment processor, so we have no access to your payment details. Everything is handled safely and securely by PayPal, who are one of the most trusted and respected payment processors in the world. It also allows you to pay in any currency at all, as it will automatically convert it into USD. PayPal is an easy way to pay that ensures customer safety and doesn’t require you to put your card details into our website. Where you put your bank details online can be a concern for most people and we fully support this worry. We don’t hold or even see your payment details so you can rest assured that your payments details are fully protected through a secure third party that we have no influence over. You may have already noticed, we are also offering G2A Pay and Bitcoin as payment processors. G2A Pay enables you to simply choose any other payment method, paypal isn’t offering, such as the highly demanded PaySafeCard and many others. Be ensured, that with the uprising of G2A Pay as a serious paypal competitor, there is nothing to worry about, cause G2A has the same if not higher security standards then paypal does. Coming to GoURL Bitcoin. Well, we think there is not much to be mentioned here. If you are going to pay through Bitcoin you know, that there is no safer payment gateway on the internet then this. Our instant delivery system means that your new account details are securely sent to your email address immediately after you pay for your account. 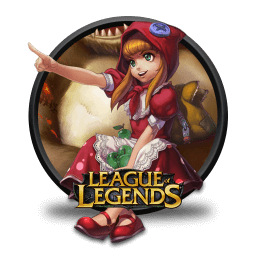 Unlike other account sellers which make you wait around for an email (which may never come or end up in spam), from us you will receive your League of Legends account right away with no delay. We also implemented that your Account details will be stored i your account dashboard on any order you have ever placed on our site. Therefor, we highly recommend you register an account with us. This will enable you to always look up any account details you have ever purchased with us. Wonderful & Simple Service – Very easy to get information and purchase. Will continue to use Lolfinity.com for many years to come. As we’ve said before, customer satisfaction is at the heart of everything we do here at LolFinity. We want people who buy League of Legends accounts from us to be fully satisfied with their purchase. To ensure this, we’ve teamed up with Reviews.io to provide honest, unbiased user reviews of our service. We ask every customer who buys from us to fill out a short survey describing their purchase experience. All these reviews, be they positive or negative, appear on our reviews page – we do not have the ability to edit any of them. This way you can see for yourself what our customers really think of us. We’re very proud of our past record, so if you do have any queries or questions then please get in touch with our support team at support@lolfinity.com.